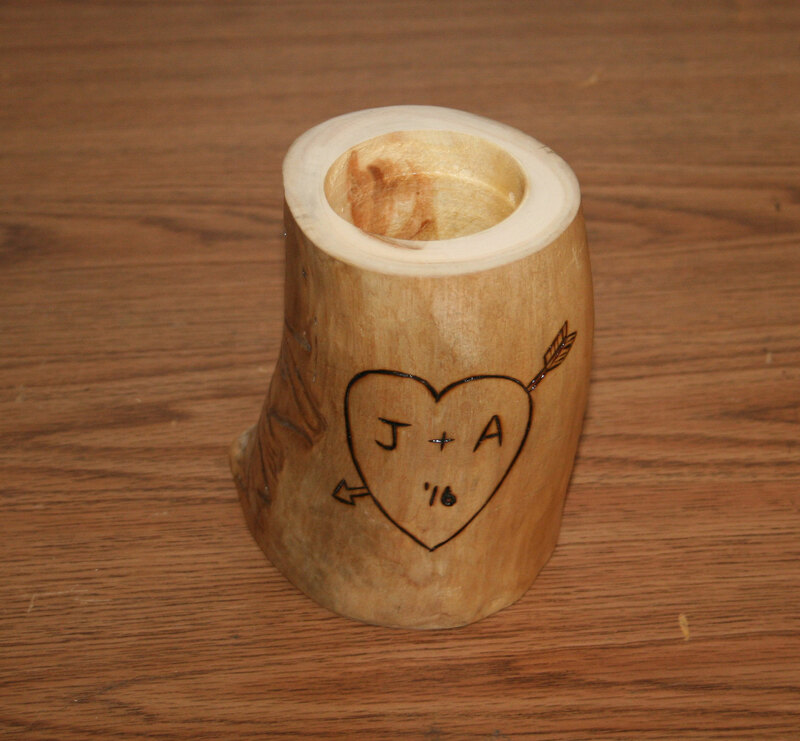 Give the perfect gift to your significant other with this Personalized Aspen Votive Candle Holder. 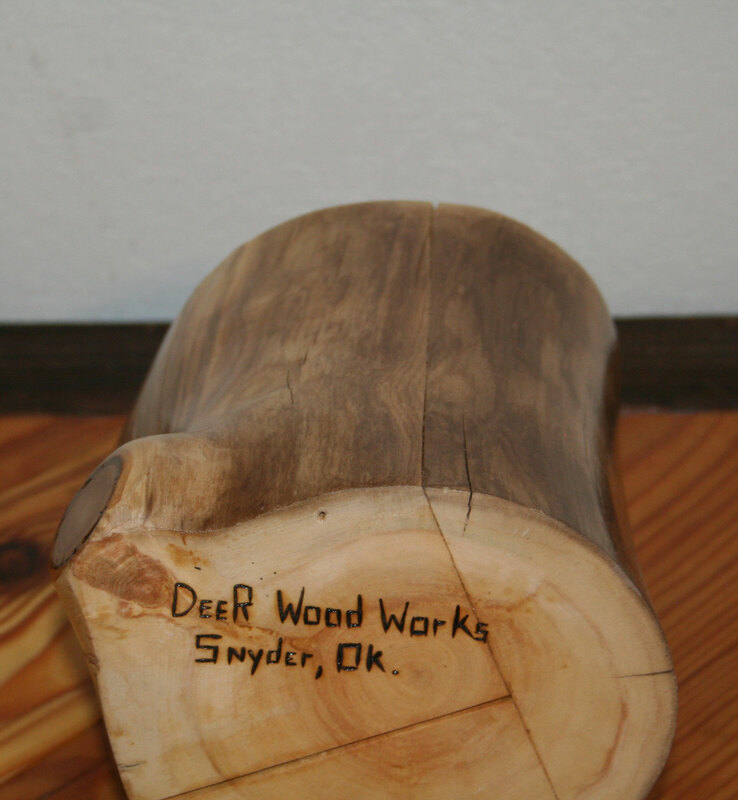 Has been sanded and will be finished to seal the wood once personalization is added. 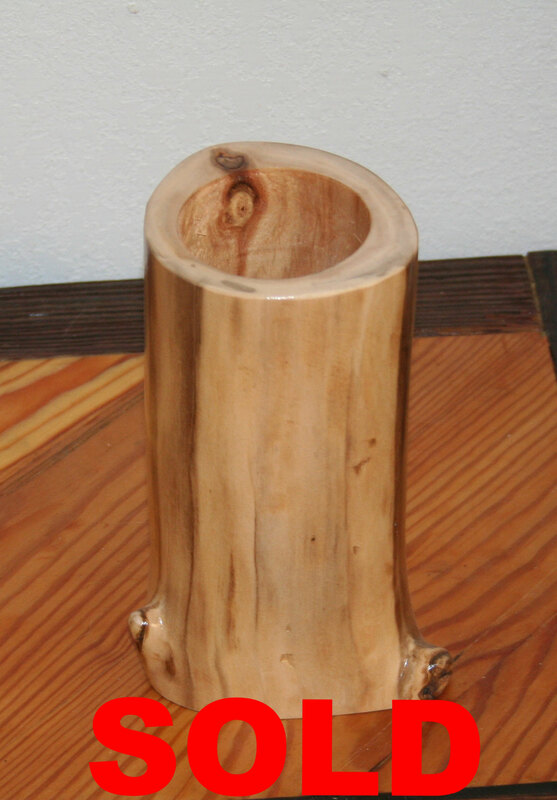 This candle holder fits one votive candle. The glass insert is included, the candle is not included. Exact dimensions will vary. 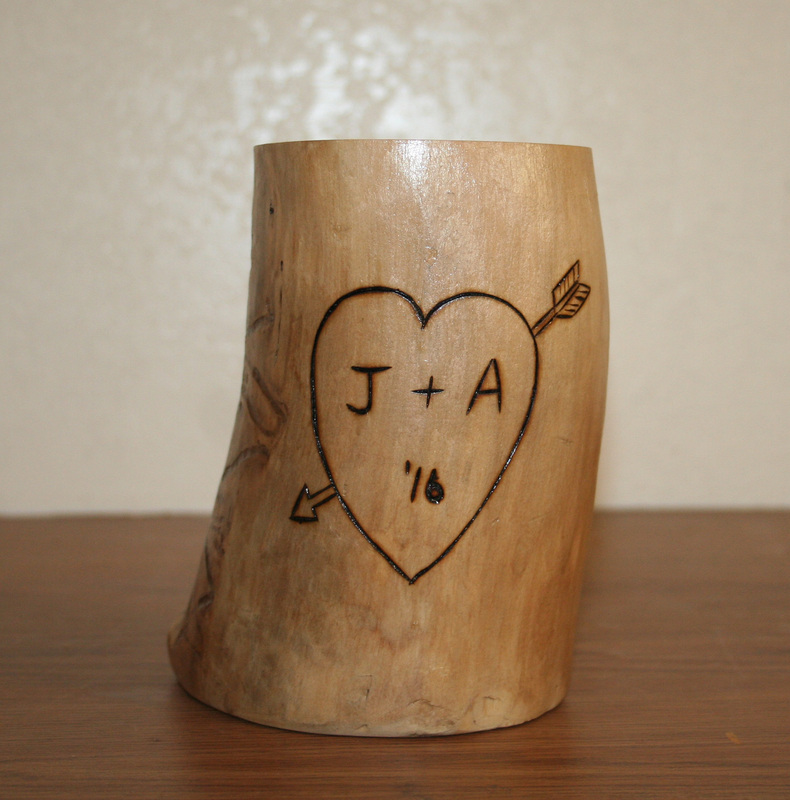 Personalization can include heart with initials and date, I love you, or just about anything you would like it to. If you want something other than initial heart or I love you please contact us as there may be an additional fee. 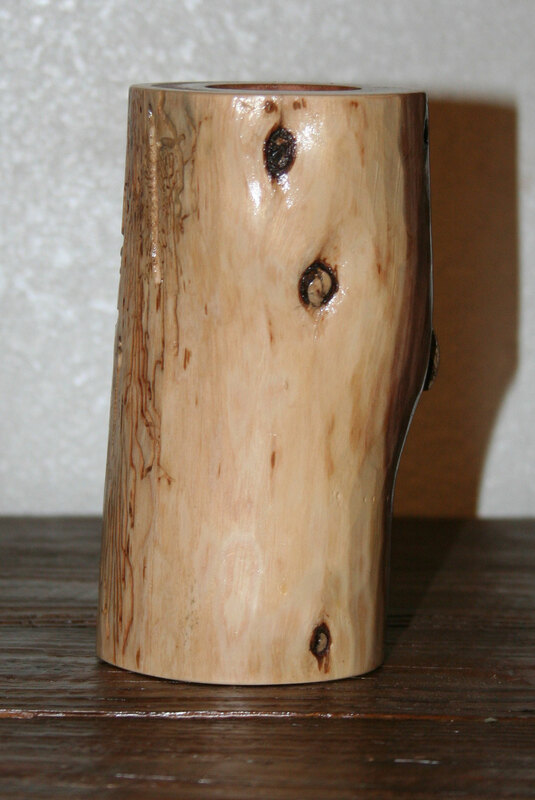 Approximate dimensions: Height: Tall- 5" - 8", Short- 3" - 5"; Size: Small- 4", Medium- 5", Large - 6". Choose your size from the drop down menu and include the personalization that you would like in the "notes to seller" when you purchase. 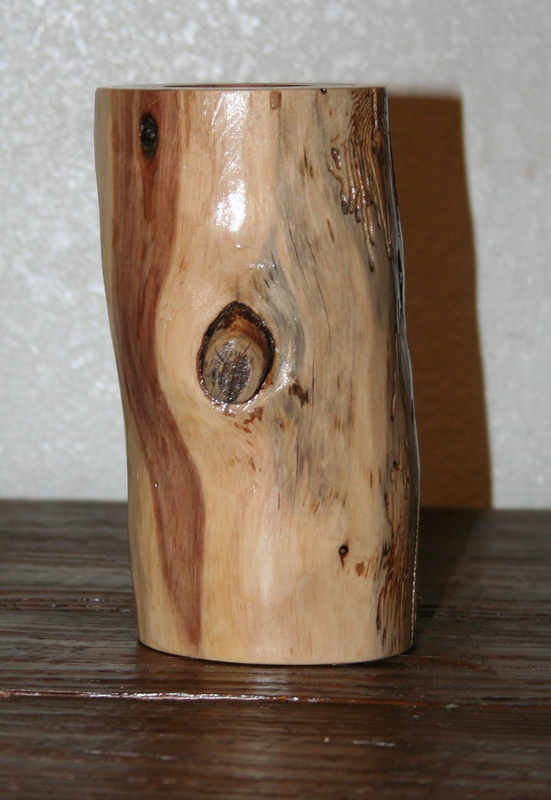 Each of our items is one of a kind, no two are exactly alike. 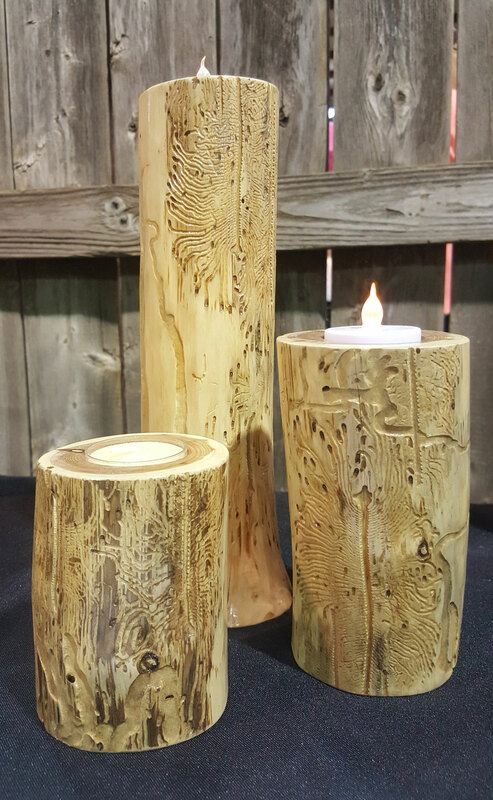 Each candle holder will vary slightly in shape and size. Please note, colors may vary slightly depending on lighting in pictures and monitor settings. ***Burning candles should never be left unattended, keep out of reach of children. 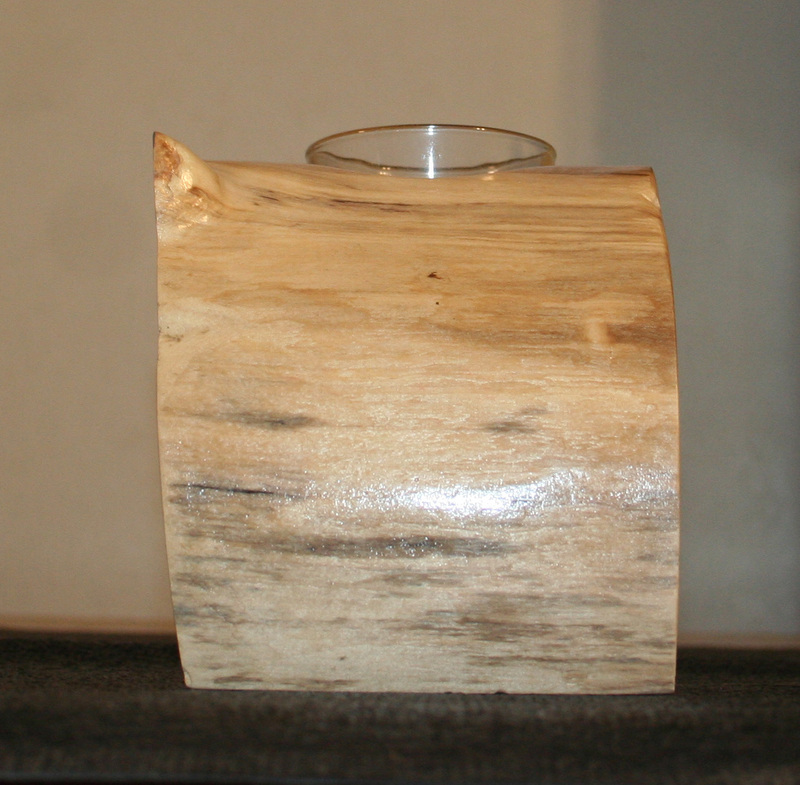 Aspen votive candle holder. Has been sanded and finished to seal the wood. 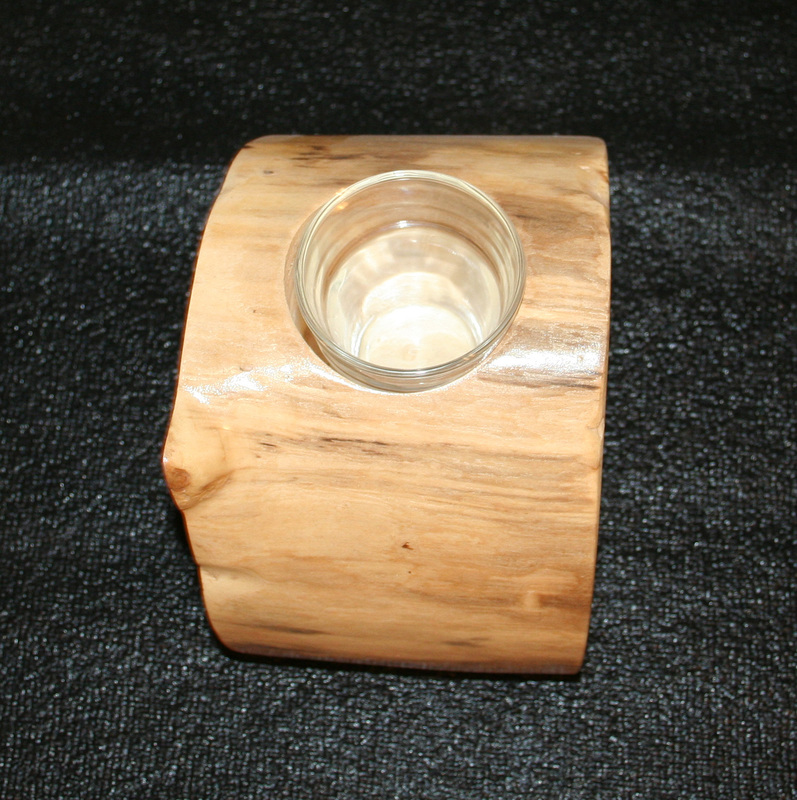 This candle holder fits one votive candle, glass insert included. Candle not included. 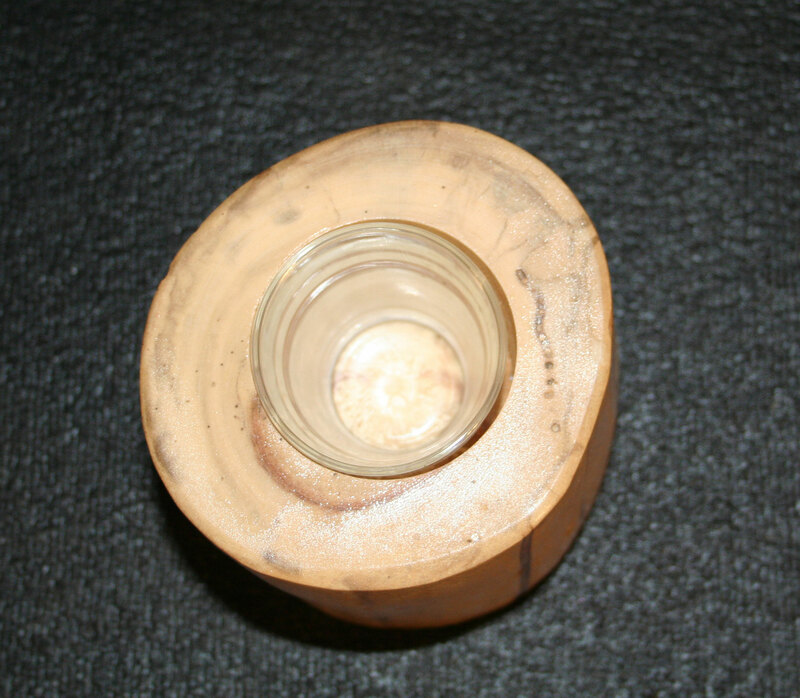 It is approximately 6" tall and 17" in diameter. 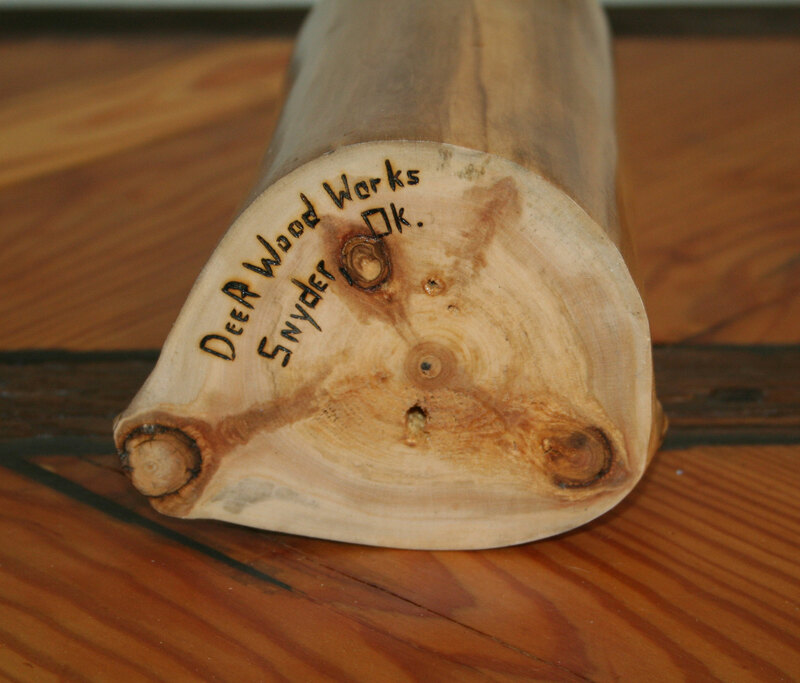 Each of our items are one of a kind, no two are exactly alike. You will receive the exact item pictured. Please note, colors may vary slightly depending on lighting in pictures and monitor settings. 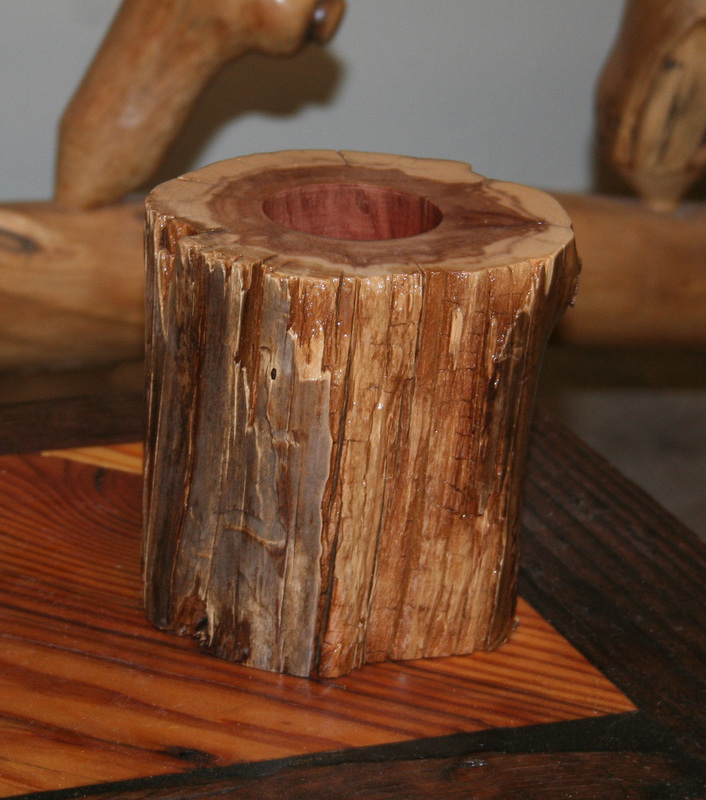 Rustic Live Edge Cedar Votive Candle Holder. 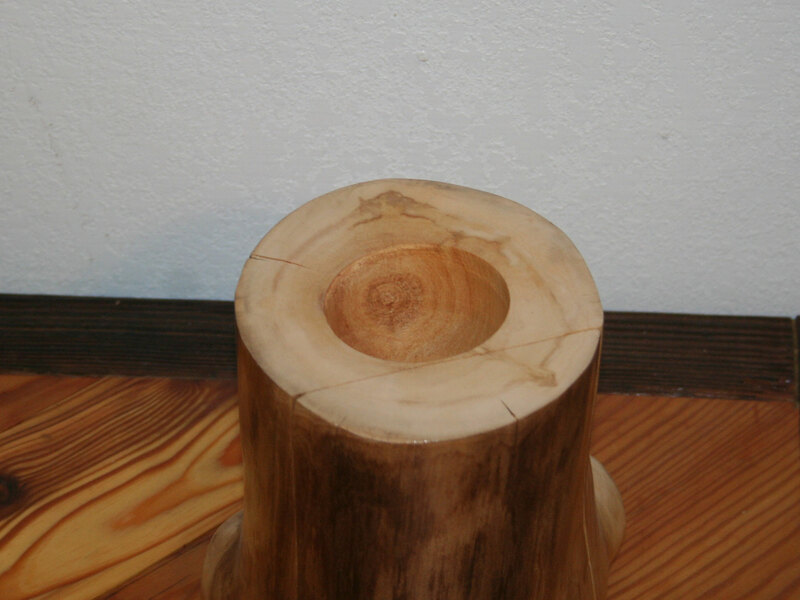 This cedar candle holder is 6" tall and 6" in diameter and was made using cedar hand-cut in Southwest Oklahoma. 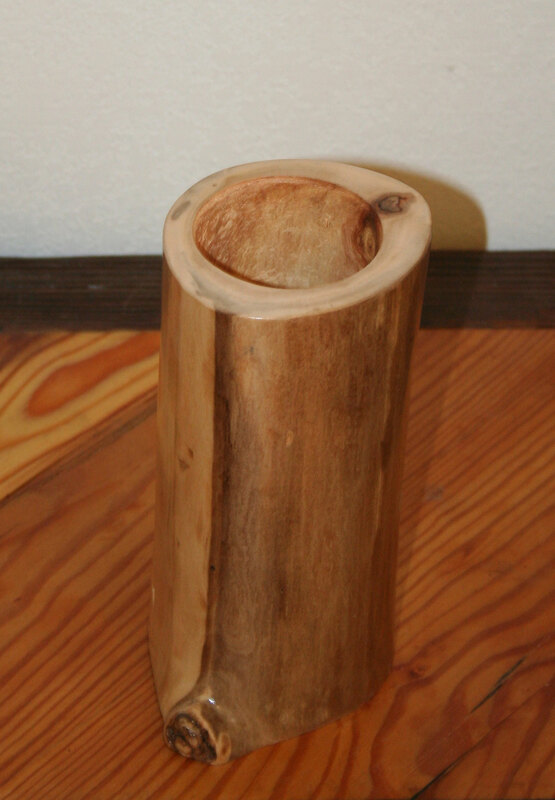 The sides were cleaned with a wire brush to smooth, avoiding altering the natural bark; and the top and bottom of were sanded to smooth. 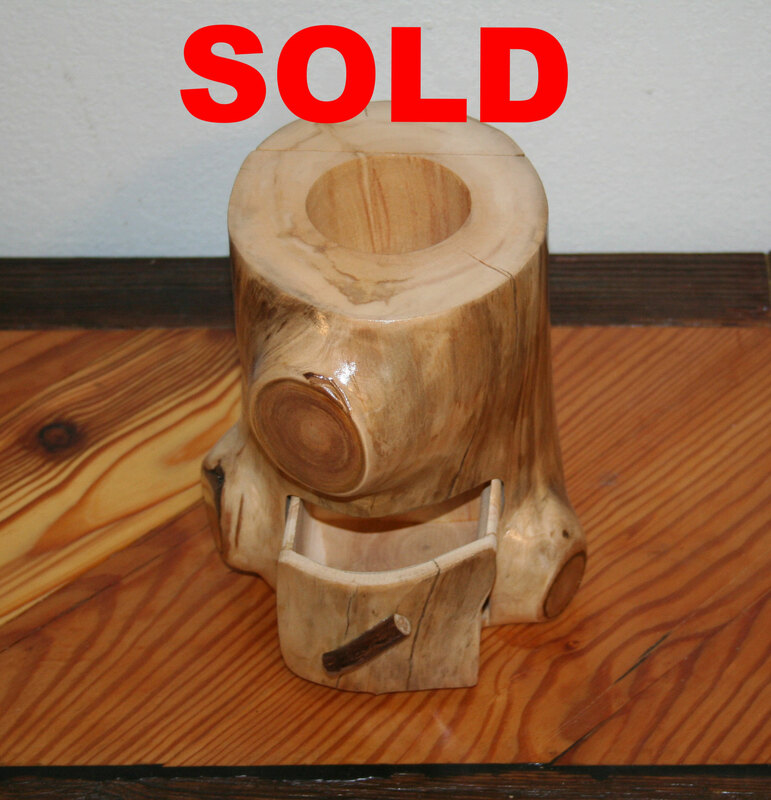 The holder was finished with several coats of polyurethane to protect it. Glass insert will be included. ***Burning candles should never be left unattended, keep out of the reach of children. 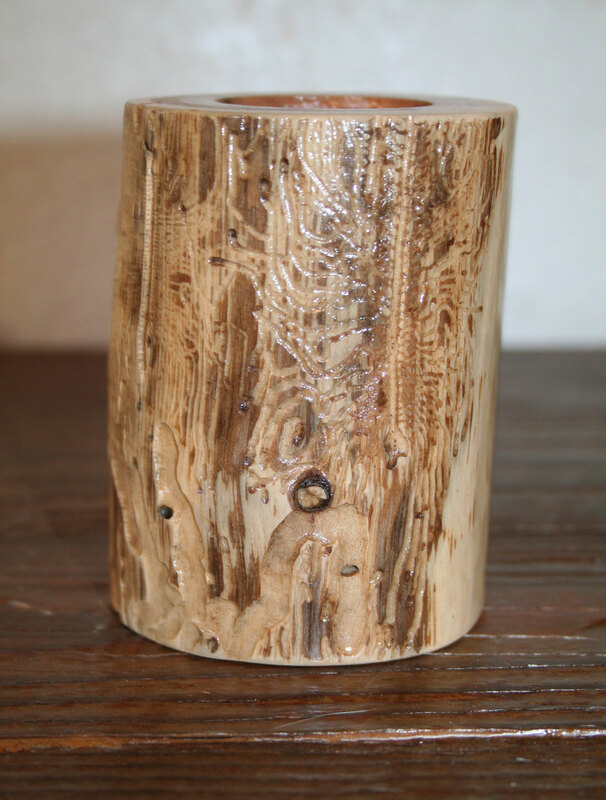 Unusual Aspen votive candle holder. 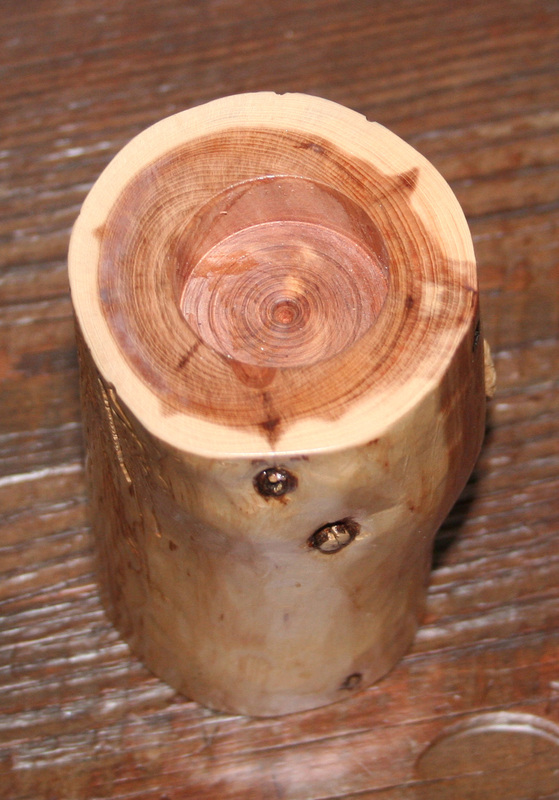 Has been sanded and finished to seal the wood. 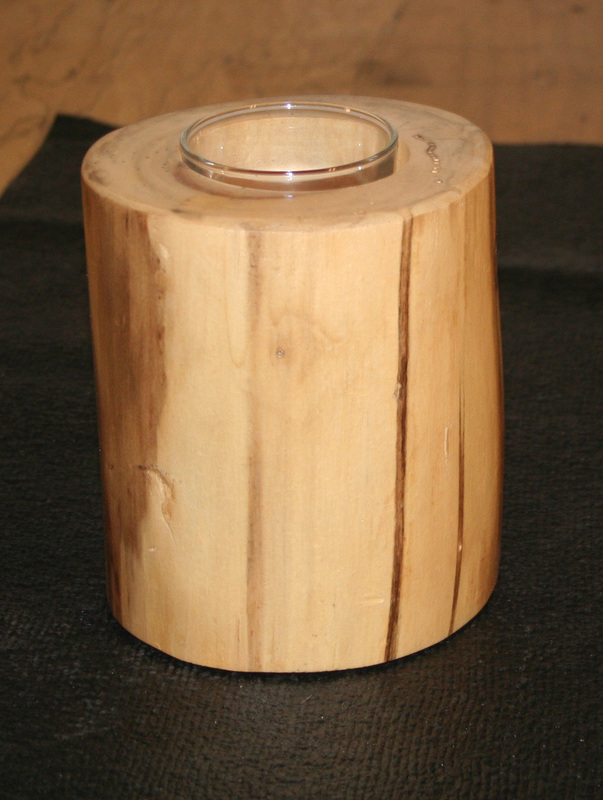 This candle holder fits one votive candle, with glass insert included. 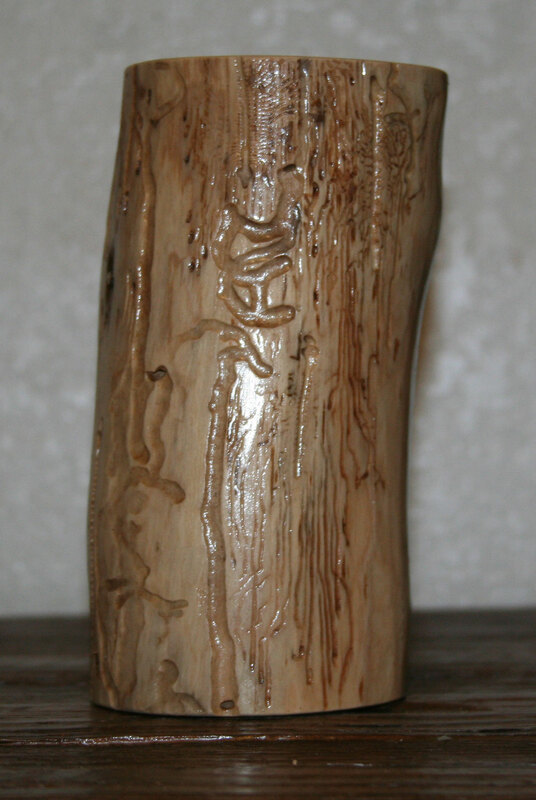 It is approximately 5.25" tall, 7" deep and 5" wide. 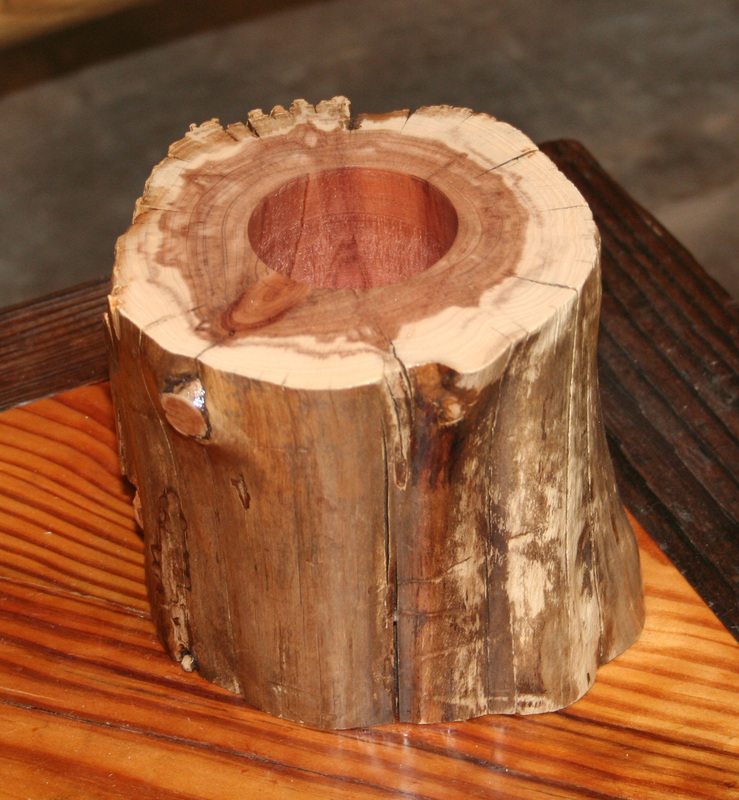 This solid wood jewelry/trinket box is made from an Aspen log. It features one unlined drawer and one candle holder. 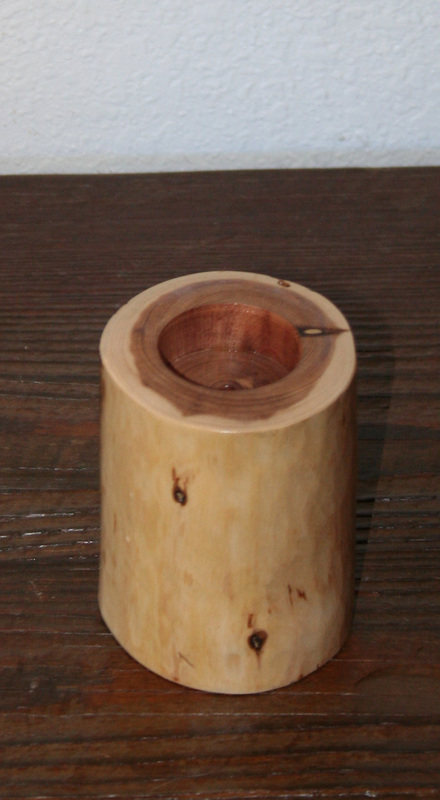 Jewelry box drawer pull is made using an Aspen twig. This box is approximately 7 1/2" tall, 6" deep and 5 1/4" wide. 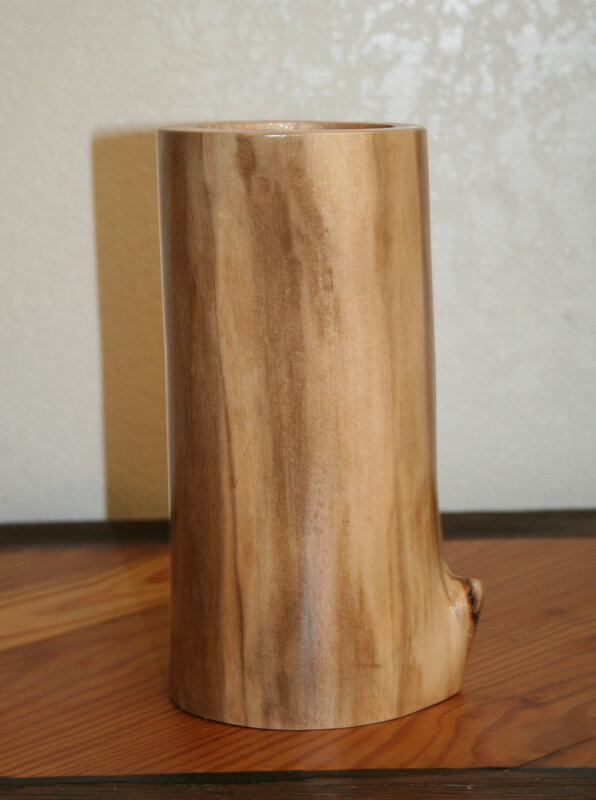 The approximate dimensions inside the drawer are: 2 1/2" tall, 3" wide and 3 1/2" deep. 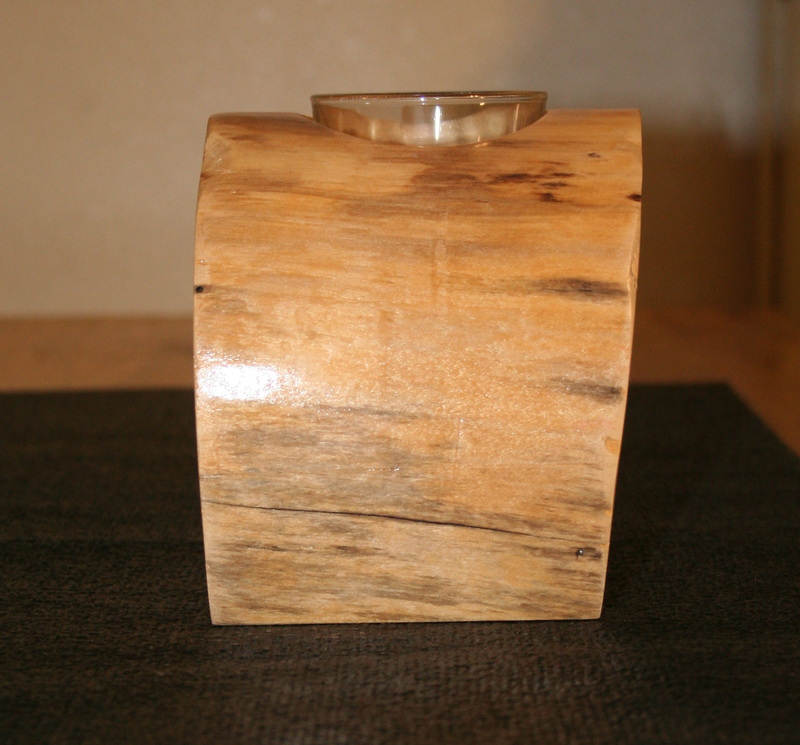 The candle holder fits one votive candle, glass insert included. 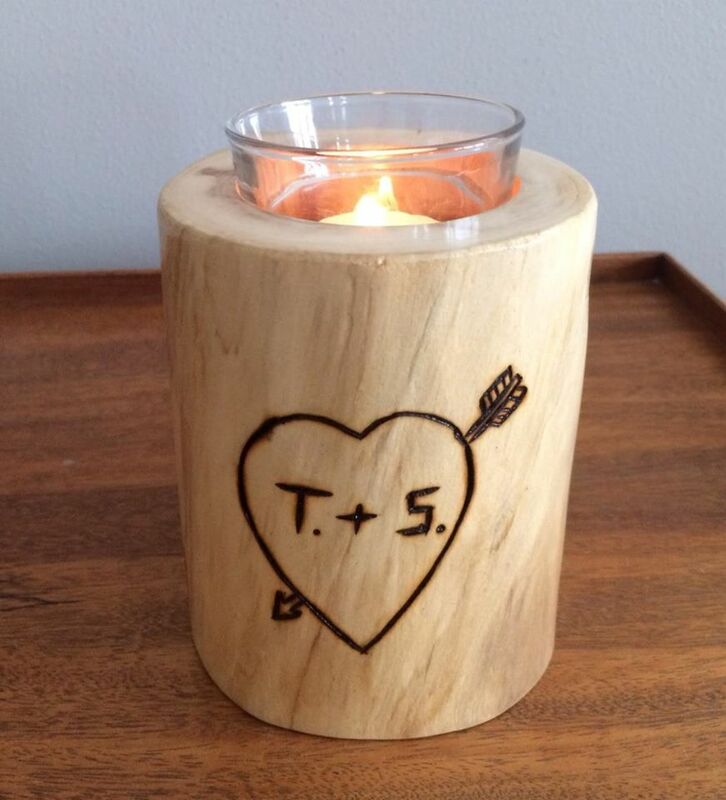 Candle is not included. The box has been sanded and finished to seal the wood. 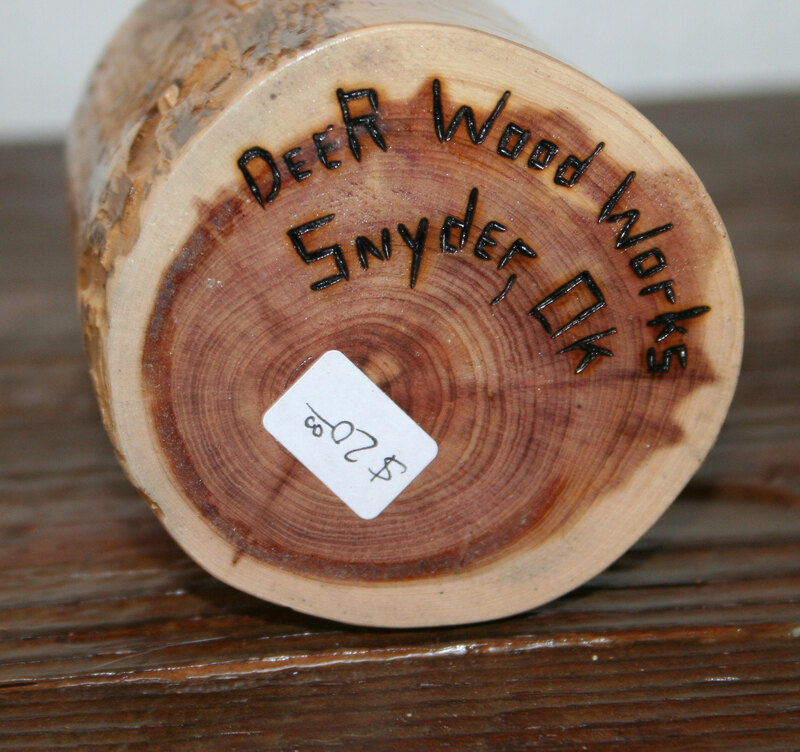 Each of our items is one of a kind. no two are exactly alike. 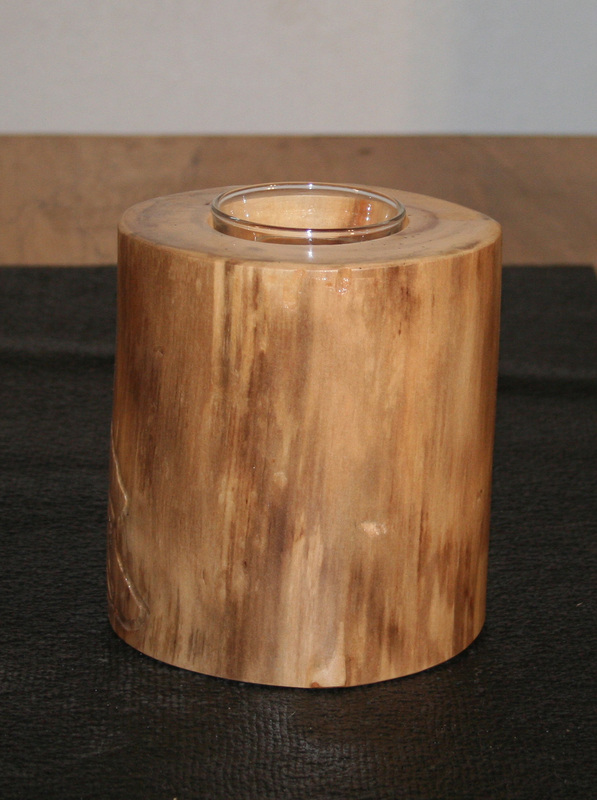 This Aspen Votive Candle Holder has been sanded and finished to seal the wood. 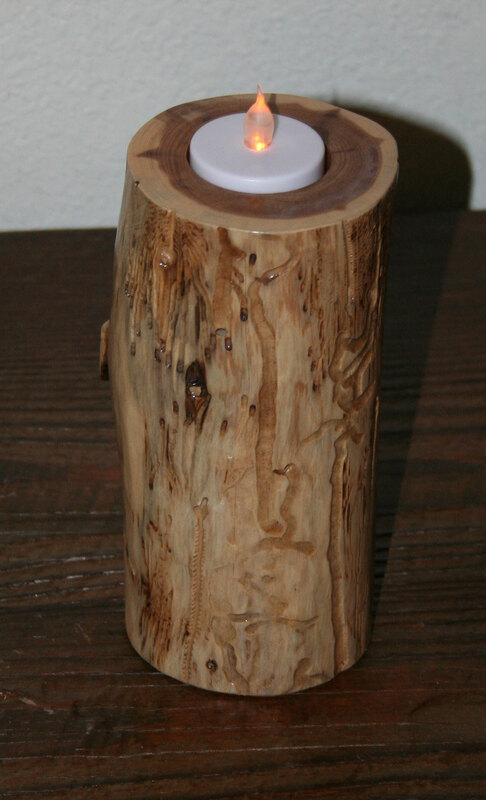 It fits one votive candle, glass insert is included with purchase. Candle not included. 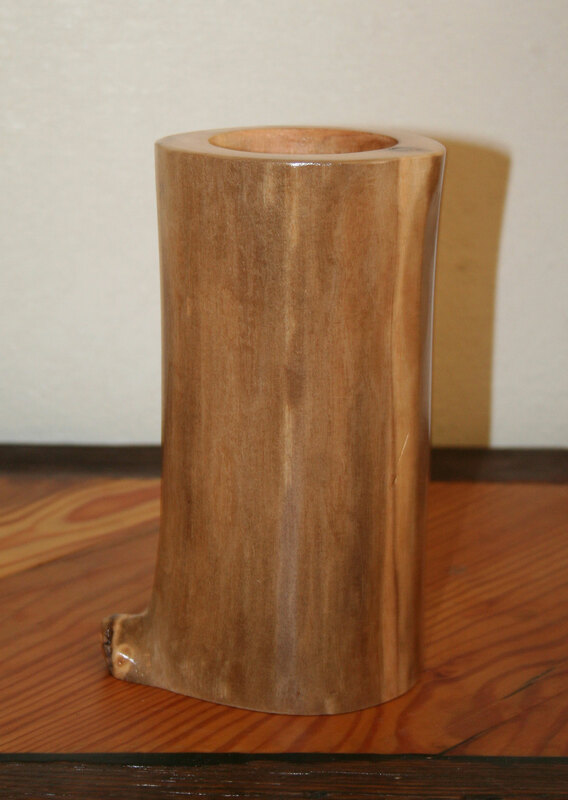 This candle holder is approximately 8" tall and 3 3/4-4" in diameter. You will receive the exact item pictured. Please note, colors may vary slightly depending on lighting in the pictures and monitor settings. 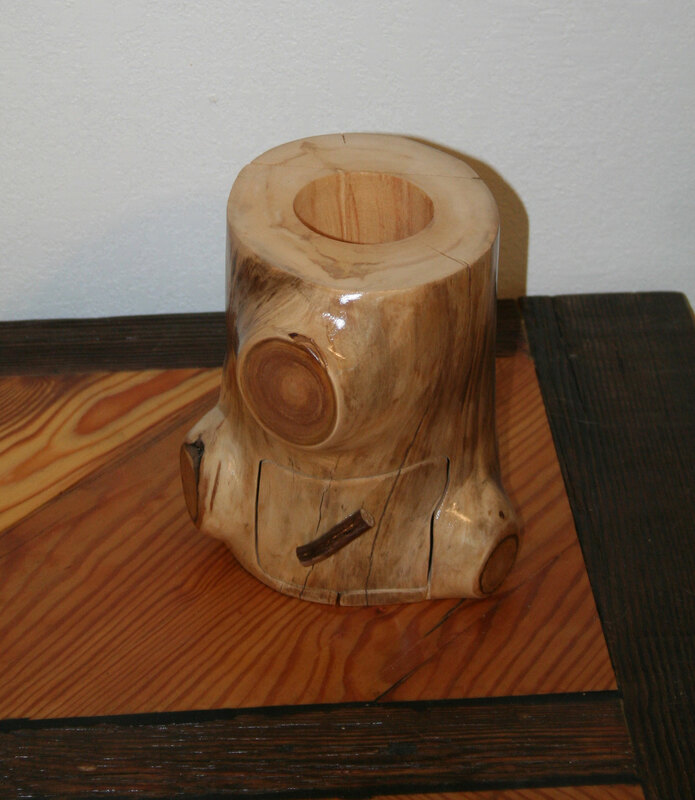 This cedar tealight candle holder has an immense amount of character! 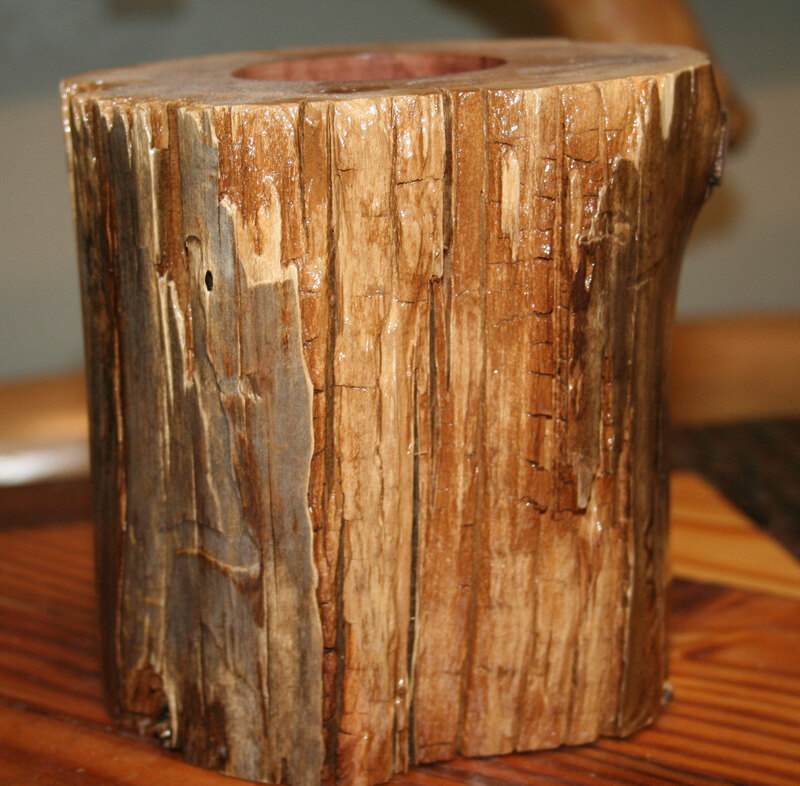 When we removed the bark from this piece we never imagined the natural beauty that it held. 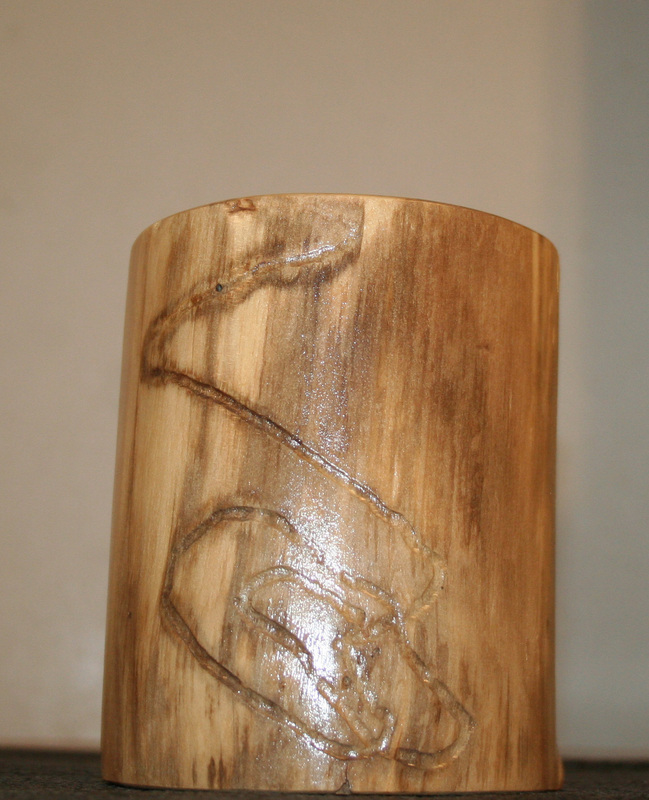 The critter tracks create an unusual pattern on this candle holder. 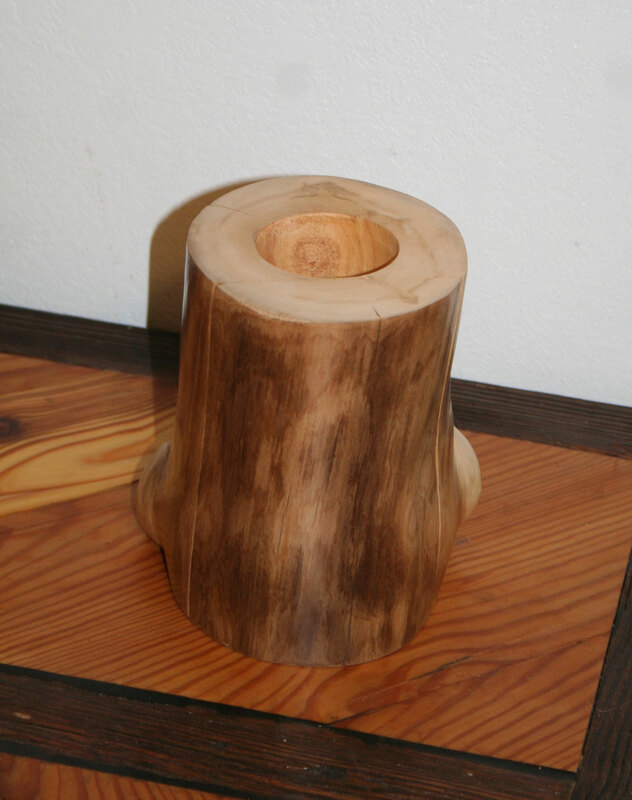 This tealight holder is approximately 6" tall and 3 - 3 1/4" in diameter. It has been finished with several coats of polyurethane to protect it. 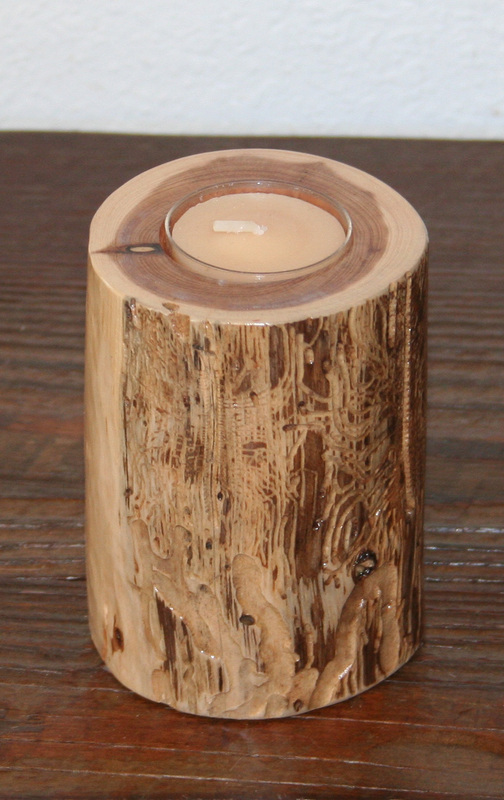 It fits one regular tealight candle which is included with your purchase. 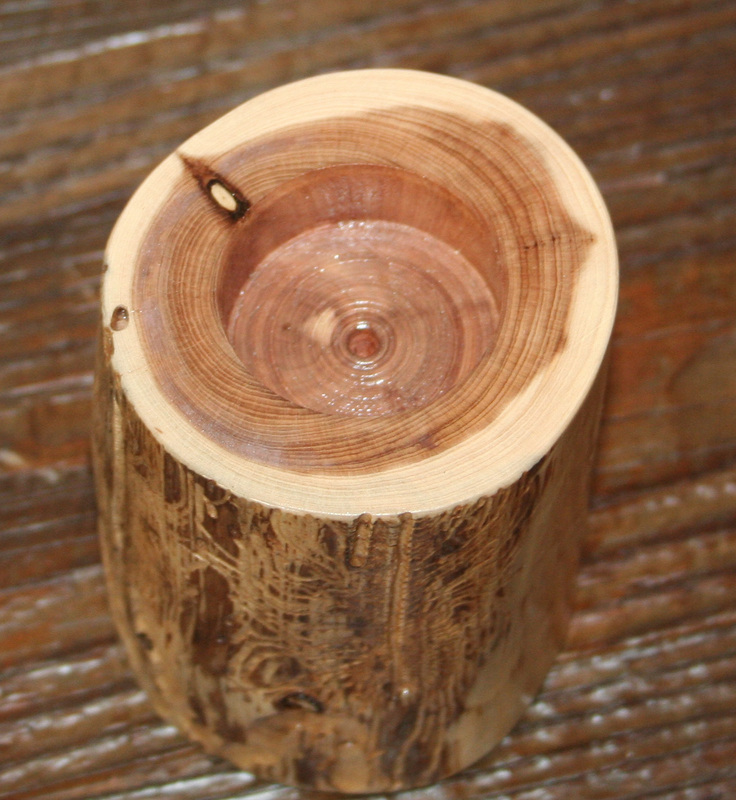 This cedar candle holder has been given a ton of natural character by the critter tracks in the wood. 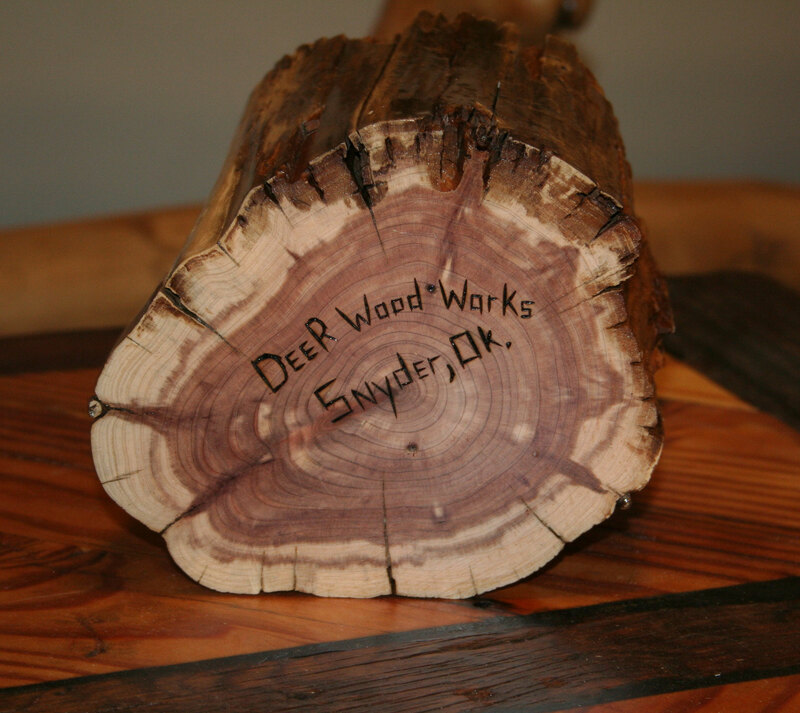 When we removed the bark from this piece, we never imagined the natural beauty that it would hold. 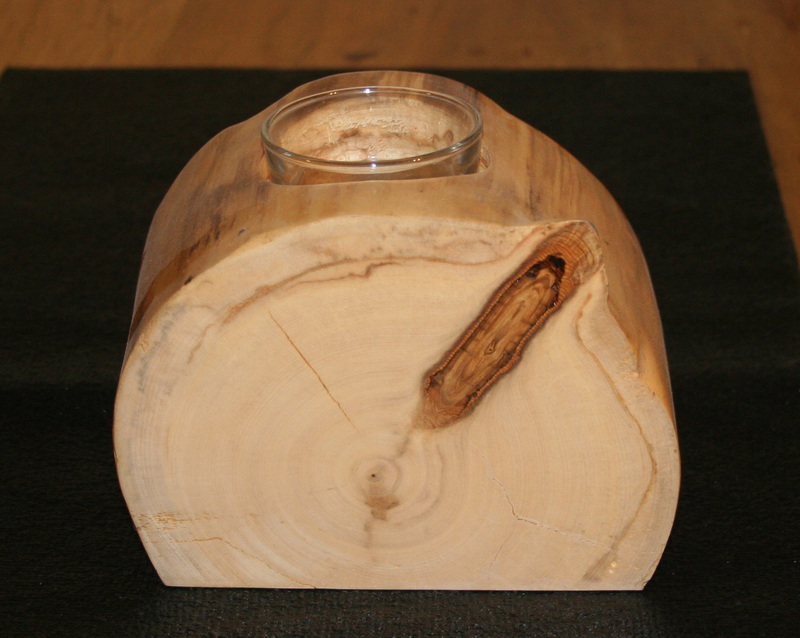 This tealight holder is approximately 4" tall and 3" in diameter. 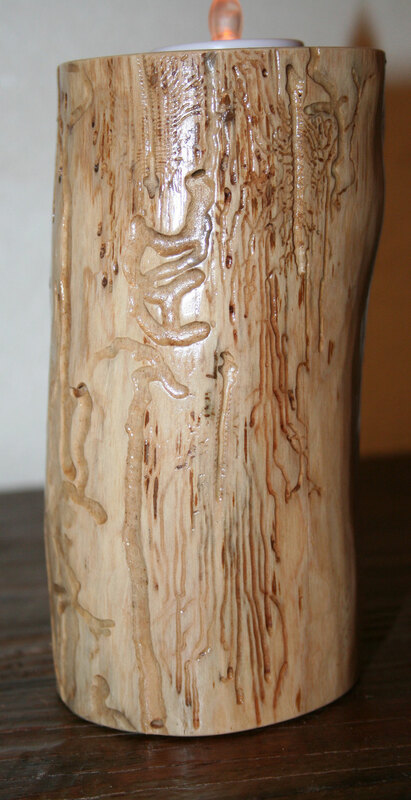 It has been finished with several coats of polyurethane to protect its beauty. 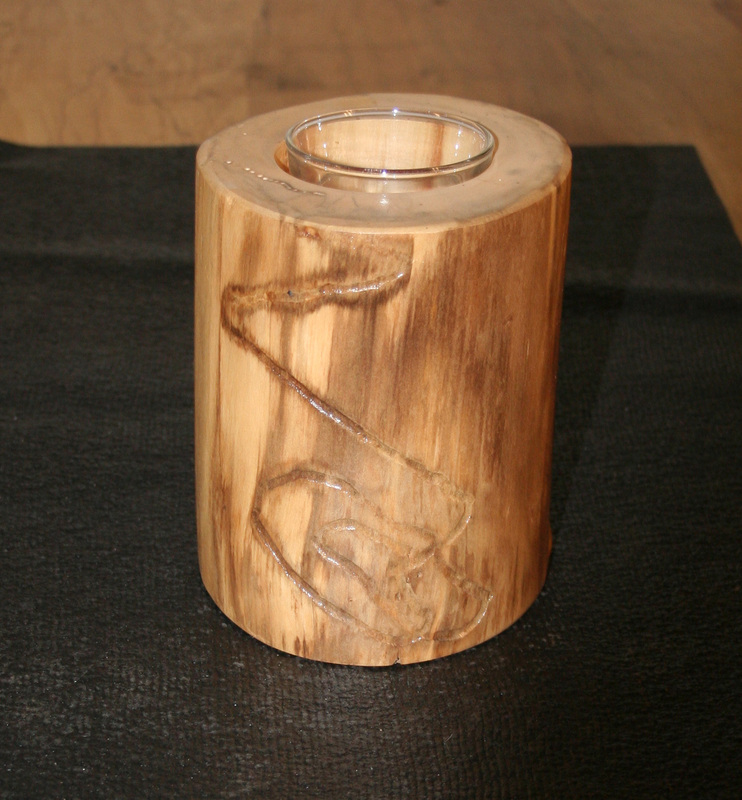 It fits one regular tealight candle which is included with your purchase. You will receive the exact item pictured. Please note that colors may vary slightly depending on lighting in pictures and monitor settings.